Shortly after Apple released iOS 7 beta 4 to developers, developer Hamza Sood found that this new beta version introduced a new folder called “BiometricKitU“. 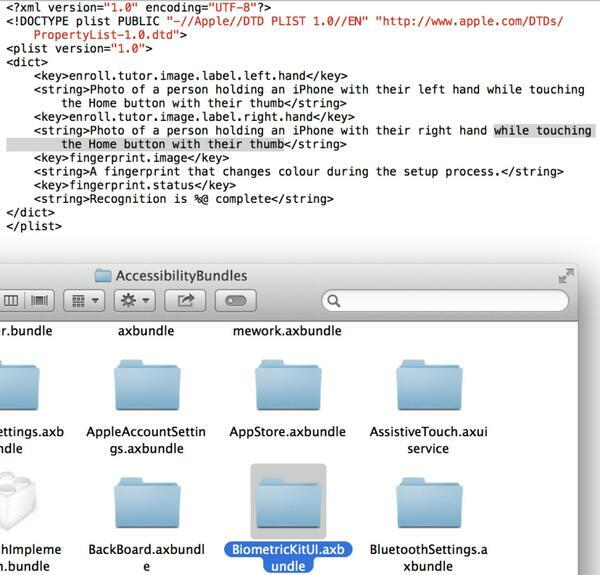 Based on the description found inside the folder, it is likely that the next iPhone Apple will release this year will have a home button with a fingerprint sensor. The information in the folder points out that you’ll be able to unlock your phone by just touching the home button with your left or right thumb.